Major plans to convert one of Todmorden’s famous listed buildings - and at one time the town’s biggest hotel - into more than 30 homes have been submitted to Calderdale Council planners. 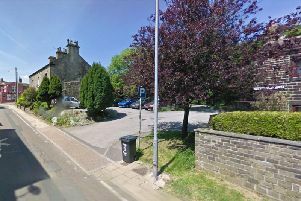 Proposals have been submitted by London based company MAC-RK Engineering to convert various buildings at Scaitcliffe Hall, Burnley Road, Todmorden, into various types of homes. The Highbury New Park based company, via agent Mr Andrew Rollinson, of Rollinson Planning Consultancy, Menston, Ilkley, has submitted various proposals for the historic hall, which was founded by the Crossley family. The Grade II listed hall dates back to at least the 17th century but was rebuilt in the 19th centure, before annexes were added in its heyday as a hotel in the late 20th century. The proposals include the transformation of the listed hall and annexe into six new homes, the conversion of a listed barn into two new homes and the demolition of a modern extension to make way for ten new “Passiv Haus” style terraced houses. The company also hopes to convert a second barn into two new homes, and build another terrace of ten homes. Phase one would consist of the new-build terrace of ten three storey houses with integral garages and gardens on the lower part of the grounds, constructed to a standard which will chievce Passive Haus accreditation - Passiv Haus homes are very comfortable but use very little energy for heating or cooling. Phase two will consist of a proposal for another terrace of ten homes similar to that in phase one, constructed within the footprint of an existing recently partly built structure which will be demolished. The logistics would be slightly affected by the proximity to the Grade II listed hall and barn. Phase three relates to the three Grade II listed buildings - the hall itself, the associated barn and coach house, each afforded separate applications in their own right. All have been subject to various extensions and alterations over time, says the statement, and the refurbishment works would look to repair the heritage structures back to their original forms where possible and relevant to the intended construction schemes. The designers’ postion would be one of sensitive treatment of the listed structures assuming an enduring viability of “useful and elegant” structures for residential occupation. The statement says the hall itself is the principal heritage asset of the site. “The sympathetic sub-division of the listed structures shall yield 11 units of various size and outlook,” says the statement. In the report, acknowledgement of the hall’s key role in Todmorden’s history is acknowledged - the original medieval building being rebuilt in 1666, extended and altered in 1738 and 1802, then substantially redeveloped in 1833, with the listed barn dating to 1809 and the coach house to 1850. After periods as a care home and as a private residence, in recent decades, the hall, with the more recent extensuions, was used as a hotel and wedding venue until about four years ago. It was substantially boosted as a business under Charles Micallef in the 1980s and early 90s, but hit troubled times in August 1998 under the ownership of Pendlebury Hotels, following which Pendlebury’s chairman David Edgar was convicted for fraud. After its sale, it was run once again as a hotrel by the Sharma family, and renowned as a popular place for weddings, where the picturesque grounds established it as many couples’ ideal setting. Any representations on the initial applications should be made by January 16.